Check us out at our events we will be attending in 2015! 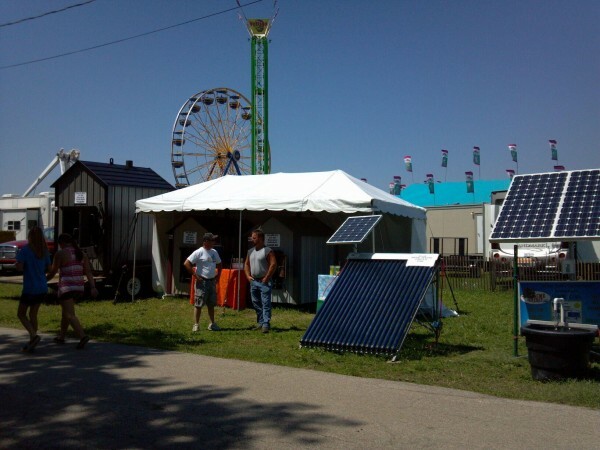 Ozarks Fall Farm Fest is the largest agricultural trade show in the midwest and showcases a wide range of products and services for the farm. Come on Out and see Us at the Missouri State Fair!!! We will be there with all our products on display for you to look over and ask questions! Hope to see you there!! Carnival Midway Hours The carnival midway opens by noon on weekdays and by 11 a.m. on weekends, weather permitting. The midway closes between 11:30 p.m. and 1:30 a.m. each day, at the Carnival company’s discretion and depending on weather. Wristbands are sold until 10:30 p.m. each day and are valid only on the day of sale (no refunds). Exhibit Buildings Most buildings are open to the public Aug 8-17 from 9 a.m. to 9 p.m. Aug 18 open from 9 a.m. to 6 p.m.
All parking areas are under police protection and handled by efficient parking attendants. In no event is the Missouri State Fair responsible for theft, accident or loss of property. See the Missouri State Fair Map for additional parking details. Taxis must enter through Gate 11 and may not go past unloading areas. The Missouri State Fair, together with the Missouri State Highway Patrol, offers a voluntary text-messaging service called Nixle. The service is being offered as an effort to help keep fairgoers updated about possible threats of inclement weather, and other possible public safety concerns, that could arise during the 2015 Fair, Aug 13-23. This service is not intended to be your primary source of weather warnings as cell phone service can be unpredictable. Messages are for informational purposes only and do not replace other warnings or directives in an emergency situation. The Missouri State Fairgrounds is located at 2503 W. 16th Street, Sedalia, MO 65301, at the intersection of Highway 65 and 16th Street. Gate 6 entrance – Clarendon Road. Travel south on US 65. Go through four (4) traffic lights in Sedalia; Centennial Gate entrance is on the right. Travel west on I-70 to US 65. Go south on US 65 (approx. 18 miles). Travel north on US 65. Go through two (2) traffic lights in Sedalia; Centennial Gate entrance is on the left. Travel east on I-70 to US 65. **Make it a Family Event and come see us at the Fair! More Shows will be add so check back for the latest updates!